Check out these great images of Yorkshire by Magda Indigo. Check out this beautiful photoset of Yorkshire churches by Dave Webster. 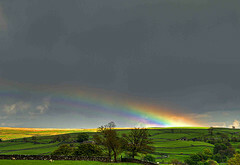 From Ian G7KXV’s Flickr account comes a set of beautiful pictures of the Yorkshire Dales. 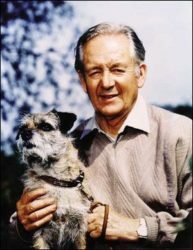 AN original James Herriot manuscript is to take part in a national project being run by the BBC and the British Museum. The World of James Herriot, the North Yorkshire-based shrine to Alf Wight who wrote the books, has supplied the work. Staff at the museum on Kirkgate, Thirsk, in the vet’s former surgery are taking part in The History of the World project. They have submitted a manuscript from 1966 by the well loved author which eventually became the best selling book If Only They Could Talk. See the full article and a picture of the original manuscript.